When you checkout from a supermarket, the person at the counter checks all that you have bought by flashing a small light at a set of lines marked somewhere on every item. How does this system of checking work? A barcode is machine-readable information. It allows data to be collected accurately and rapidly about the product such as what product it is, the country where it was manufactured, prices, stocks left and so on. A Barcode symbol consists of a series of parallel bars and spaces. Each of these wide and narrow bars and spaces in the pattern represents a character which in turn represents some kind of a code. Such as, numbers 00-13 is the country code for USA and Canada, 45 for Japan and 890 for India. How is the barcode read? A barcode reader uses a scanning device which is basically a photo sensor. It measures the relative widths of the bars and spaces, translates the different patterns back into regular characters, and sends them on to a computer or portable terminal. Here the original data is recovered. A bar code works like a light when turned on in a dark room. You see the walls and furniture in the room by the light reflected from these items. The scanning device contains a small sensory reading element. This sensor detects the light being reflected back from the bar code, and converts the light energy into electrical energy. The result is an electrical signal that can be converted into data. Scanners employ various technologies to “read” codes. The two most common are lasers and cameras. Scanners may be fixed position type or hand-held devices. In 1948, a local food shop owner Philadelphia (Pennsylvania) requested Bernard Silver, a research student to devise a method of automatically reading product information during checkout. Bernard Silver joined together with fellow research student Joseph Woodland to work on a solution. After four years of hard work, Woodland and Silver developed a method of “article classification through the medium of identifying patterns” and got it patented on the 7 October 1952. Thus began the system of barcodes. The first product to have a bar code was Wrigley’s Gum. Bar codes were first used commercially in 1966, but it was soon realized that there would have to be a common standard all over the world to derive maximum benefit. The Universal Product Code (UPC) was the first bar code symbology to be widely adopted. This was on 3 April 1973. Foreign interest in UPC led to the adoption of the EAN (European Article Numbering) code format, similar to UPC, in December 1976. Currently, the United States and Canada use UPC bar codes as their standard for retail labeling, whereas the rest of the world uses EAN. Numerous other methods of bar-coding have evolved ever since. Originally barcodes were, stored data in the widths and spacing of printed parallel lines, but nowadays they also come in patterns of dots, concentric circles, and hidden in images. Also today we have numeric-only barcodes, alphanumeric barcodes and 2-Dimensional barcodes. Consider a barcode found on a loaf of bread which contains a 12-digit product number. When this number is scanned by the cashier, it’s transmitted to the store’s computer which finds the record associated with that item number in its database. The matching item record contains a description of the product, vendor name, price, quantity-on-hand, etc. The computer instantly does a “price lookup” and displays the price on the cash register (it also subtracts the quantity purchased from the quantity-on-hand.) This entire transaction is done instantly; think of how long it would take the cashier to key in a 12-digit number for every item you wanted to buy! Barcodes are thus a time saving, cost effective and accurate means of handling and checking large numbers of consumer goods. Since scientists developed the ability to decode the genome and compare the genetic makeup of species, some people have been stunned to learn that about 98.5% of the genes in people and chimpanzees are identical. This finding means chimps are the closest living biological relatives to humans, but it does not mean that humans evolved from chimps. What it does indicate is that humans share a common ancestor with modern African apes (i.e., gorillas and chimpanzees), making us very, very distant cousins. We are therefore related to these other living primates, but we did not descend from them. 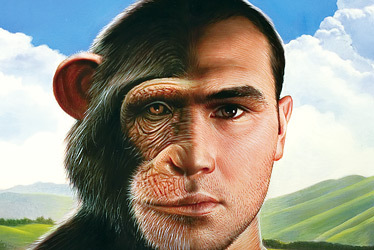 Modern humans differ from apes in many significant ways. Human brains are larger and more complex; people have elaborate forms of communication and culture; and people habitually walk upright, can manipulate very small objects, and can speak. There are more than 2,700 languages in the world. In addition, there are more than 7,000 dialects. A dialect is a regional variety of a language that has a different pronunciation, vocabulary, or meaning. Many languages in Africa include a â€œclickâ€ sound that is pronounced at the same time as other sounds. You must learn these languages in childhood to do it properly. A symbol of purity, fertility, eternity and the divine seat of the goddess Lakshmi, the lotus is also the National Flower of India. Here’s why this flower is so pure. 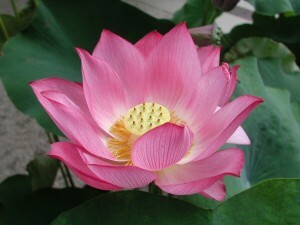 In India, the lotus is considered as a sacred flower and a lot of folklore and religious mythology is woven around it. It is also the national flower of India. The lotus stands tall, clean and beautiful despite its murky surroundings. Rich in meaning and metaphor; it is considered as the foremost symbol of purity, beauty, wealth and fertility. It is also symbolic of youth and feminine beauty. Laxmi, the goddess of wealth, and several other deities, sit on huge lotus flowers. Many gods and goddesses are also depicted holding a lotus in one of their (many) hands! Hinduism adjures human beings to be like the lotus–to maintain the purity of the mind and body while floating on the muddy waters of sins and desires. The seeds of the lotus have been found to be viable for germination even after thousands of years. Hence it is a symbol of a strong vital force that can withstand extremely adverse conditions. Buddhism also attaches a lot of importance to the lotus. The popular ‘padmasana’ in yoga means the ‘lotus position’. Moving to science, the botanical name of the lotus is Nilumbo Nucifera. Here, it is just another flower. But its peculiar properties have awed scientists. Research shows that the lotus is indeed pure -even from the scientific point of view. You must have seen those large round lotus leaves. If you can get one them, try splashing lots of water on them. You will find that all the water rolls off the leaf. Then, if you touch the leaf it will still be dry. What is it that makes it water repellent? Scientific research shows that the leaves of all aquatic plants secrete wax crystals. Thus the leaves are in a sense, coated with a layer of wax which repels water. This prevents the leaves from getting drenched in the water around them. Interestingly, these wax crystals also help the leaves to retain the required amount of water within them. Further studies by scientists have led to the discovery of something more interesting. It has been called the “lotus effect”. According to this, the lotus has an amazing ability to clean itself. It can easily wash off any dirt or microorganisms such as bacteria that try to settle on it. To understand how they do it, we must take a deeper look into the structure of the lotus leaves. Contrary to popular belief, lotus leaves are not smooth. When the leaf cells are examined under a powerful microscope, they are seen to have a bumpy surface. This means that the surface of the leaf is actually rough. These rough surfaces were found to be spotlessly clean. They did not require to be cleaned even for viewing under the microscope. The dirt particles form its surroundings lodge themselves on the tip of the wax crystals on the leaf. Also, because of the roughness they cannot hold on very tightly to the surface. Next, when water comes in contact with the surface, it forms droplets which slide off immediately. Since the dirt particles rest loosely on the miniature bumps, they stick more strongly to the water droplets than to the leaf surfaces. Therefore the water droplets carry away the dirt particles as they run off. In this way they the lotus manages to wash itself without any effort. Had the surface been smooth, the dirt particles would have been pushed from one part of the leaf to the other. Also on a flat surface they would find a greater contact area and hence would rest more firmly. Even if a few of the microorganisms remain on the leaf, they do not get water for survival and eventually die. Thus the lotus is able to purify itself. 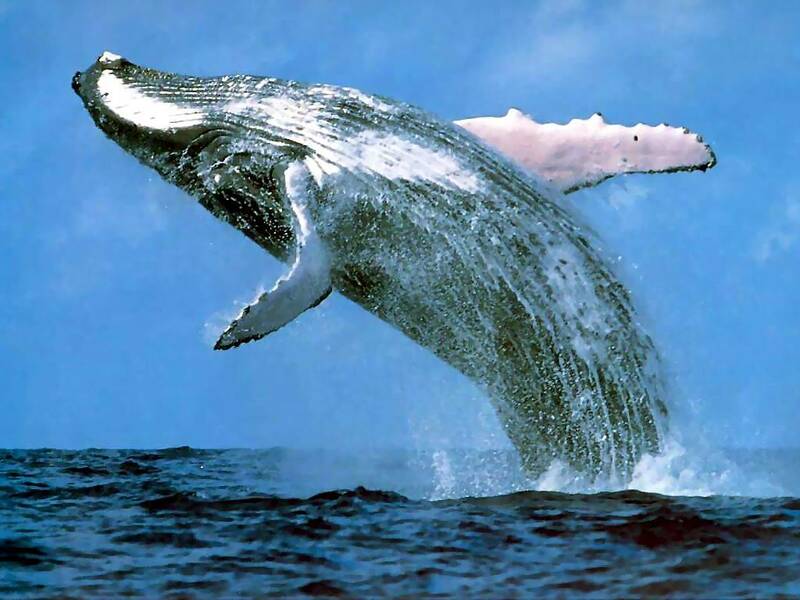 Whales are the gigantic ocean mammals that are enormous with powerful tails. The interesting thing about these large sea mammals is that they are virtually harmless and are highly social animals with complex languages and intelligence, just the opposite as giant animals or whales are shown in movies. They are called gentle giants because of their nature. Blue whales are the biggest of all. They feed on krill, a tiny shrimp that lives in tremendously large schools in almost every ocean of the world. A big blue whale can eat over a thousand krill at one time just by swallowing them with a tongue that weights as much as an elephant. From this we can imagine that just everything about a whale is simply big. Apart from these the whales also like to eat Small fish and plankton. 8,000 lbs/3600kg of fresh seafood a day is what a whaleâ€™s diet is. The most amazing thing about blue whales is their sound which is louder. Scientists have measured the low-frequency (deep rumbling) sounds they make when they communicate with each other by using a decibel meter. Some of their vocalizations have been recorded as loud as 188 decibels and can be heard as far as 530 mi/848km away. So, when you will go on a voyage, just keep your eyes open to get a look of this innocent mammal. While strolling on the sea beach sometimes we can see a kind of creature that looks like something transparent. They are the jelly fish that might have been brought on shore by the huge waves of the sea. Kids are often very curious to know more about these sea creatures mostly because the kids are attracted for the looks that a jelly fish bears. The striking information is that they are one of the oldest species and they are believed to have appeared in the oceans about 650 million years ago, even before the dinosaurs. They are still found in large numbers in the sea in various sizes and shapes. Though it is hard to believe but the fact is that their bodies are made up of 95% water; they have no bones or cartilage, no heart or blood, and no brain. Isnâ€™t it amazing? They are the most primitive life forms on earth. The Arctic Lion’s Mane, like most jellies, is a killer – it kills and eats other living creatures. Fish, plankton, and even other jellies are its main foods. 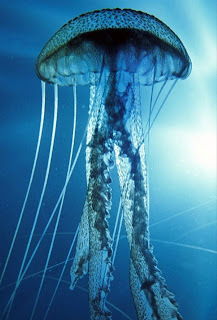 A Jellyfish has almost invisible tentacles which are loaded with millions of nematocysts which it uses for injecting paralyzing venom into the victim and then consumes its prey. The world is full of colors. Do you know how animals see color? Different types of animals see colors in different ways. Some animals have very poor color vision, for example dogs, cats, mice, rats and rabbits. In fact, they see mostly greys and some blues and yellows. The most common mistake that we make is that we think that a red cape makes a bull angry. But the real thing is that bulls are color blind. They charge the red cape just because it is moving and not because it is red. Some animals do have good color vision. Monkeys, ground squirrels, birds, insects, and many fish can see a fairly good range of color. In some cases it’s not as good as what we humans see – but it’s much better than cats and dogs. Scientists say that good color vision in some animals helps them in finding food on the land or in the water. Good color vision in some of the land animals helps them to differentiate between ripe red fruit and unripe green fruit. Colors can also make animals more attractive to each other when they mate. The ability to see colors also helps animals identify other animals that may attack them. Bees and butterflies can see colors that we can’t see. Their range of color vision extends into the ultraviolet which guide the insects deep into the flower. There are different types of animals that can only survive in the coolest places on the earth. Heard of polar bears? Arctic sea ice, water, islands, and continental coastlines around the Arctic Circle are dwelling place to these gigantic carnivores. The temperatures where these bears live ranges from an average -29Â°F/-34Â°C in winter and 32Â°F/0Â°C in summer. The coldest area in winter is northeastern Siberia, where the temperature has been recorded as low as -92Â°F/-69Â°C is not at all a place suitable for us but it is absolutely fine with these polar bears whose body is covered naturally with an extremely dense fur coat. Do you know what the favourite food of all these polar bears is? Seals. The polar bears spend a huge time moving great distances in search of their food. They can cover 20000 to 135000 square miles. They eat a lot in order to survive and develop a thick layer of fat which in turn helps them to keep themselves warm in such a chilly temperature. Another interesting fact about these guys is that they are excellent swimmers. They can swim for several hours and can hold their breath for about two minutes when they dive underwater. 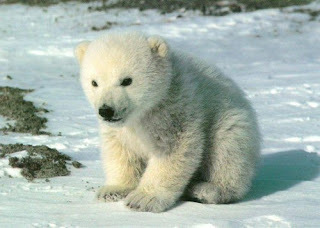 Male polar bears are called boars and female polar bears are called sows and their babies are called cubs. Hey kids, do you remember about the penguins in the Hollywood blockbuster film, â€œHappy Feetâ€? You must be eager to know more about penguins, right? Here are some general facts about penguins that you will care to know. Penguins are sea birds that cannot fly. They mostly dwell in the Southern Hemisphere. In all, there are 18 species of penguins, found in South Australia, New Zealand, and off the coasts of Peru, Chile, and South Africa. Some species live as far north as the equatorial Galapagos Islands, but they are primarily cold-weather birds. 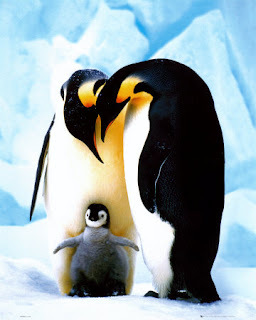 There are seven species of Antarctic penguins: the Adelie, Gentoo, Macaroni, Chinstrap, Rockhopper, King, and Emperor. The Adelie and the Emperor are the two true Antarctic species. Penguins spend their life in the sea. Some species spend as much as 75% of their lives in the water though they lay their eggs and raise their chicks on land. Heavy, solid bones act like a diver’s weight belt, allowing them to stay underwater. Their wings, shaped like flippers, help them “fly” underwater at speeds up to 15 mph. A streamlined body, paddle-like feet, insulating blubber, and watertight feathers all add to their efficiency and comfort underwater. They also have a remarkable deep-diving ability. They are well suited for Antartica. 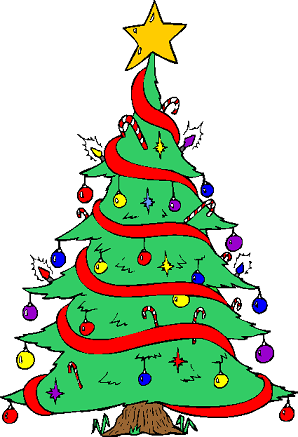 The tradition of the Christmas tree dates back to the middle ages and caught on in the United States in the 1800′s. Today, approximately 15,000 US growers tend one million acres of Christmas tree farmland. The price for trees averages $5.65 per foot. Among some of top selling trees in the US are: Balsam fir, Douglas fir, Eastern white pine, Fraser fir, Noble fir, Scotch pine and Virginia pine. In 1996, 37 million Christmas trees were sold in the US alone. Sandals originated in warm climates where the soles of the feet needed protection but the top of the foot needed to be cool. 4,000 years ago the first shoes were made of a single piece of rawhide that enveloped the foot for both warmth and protection. In Europe pointed toes on shoes were fashionable from the eleventh to the fifteenth centuries. In the Middle East heels were added to shoes to lift the foot from the burning sand. In Europe in the sixteenth and seventeenth centuries heels on shoes were always colored red. Shoes all over the world were identical until the nineteenth century, when left- and right-footed shoes were first made in Philadelphia. In Europe it wasn’t until the eighteenth century that women’s shoes were different from men’s. Six-inch-high heels were worn by the upper classes in seventeenth-century Europe. Two servants, one on either side, were needed to hold up the person wearing the high heels. Sneakers were first made in America in 1916. They were originally called keds. Boots were first worn in cold, mountainous regions and hot, sandy deserts where horse-riding communities lived. Heels on boots kept feet secure in the stirrups. The first lady’s boot was designed for Queen Victoria in 1840. With a sale of 107 million newspapers daily, India is the biggest newspaper market in the world. Together with China and Japan, it accounts for over 60 per cent of the global newspaper sales. 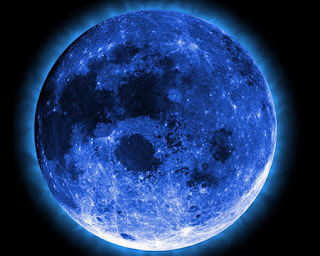 There are 12 full moons most years but every two or three years there is an extra full moon which is called a “Blue moon”. * Turtles have no teeth. * Prehistoric turtles may have weighed as much as 5,000 pounds. * Only one out of a thousand baby sea turtles survives after hatching. * Sea turtles absorb a lot of salt from the sea water in which they live. They excrete excess salt from their eyes, so it often looks as though they're crying. * Helium is a colorless, odorless, tasteless inert gas at room temperature and makes up about 0.0005% of the air we breathe. * Helium Balloon Gas makes balloons float. Helium is lighter than air and just as the heaviest things will tend to fall to the bottom, the lightest things will rise to the top. * An ostrich can run 43 miles per hour (70 kilometers per hour). * Pigs are the fourth most intelligent animal in the world. * Dinosaurs didn't eat grass? There was no grass in the days of the dinosaurs. * Dolphins can swim 37 miles per hour (60 kilometers per hour). * A crocodile's tongue is attached to the roof of its mouth? It cannot move. It cannot chew but its Digestive juices are so strong that it can digest a steel nail, Glass pieces, etc. * Sharks are immune to disease i.e. they do not suffer from any Disease. * Animals are either right- or left-handed? Polar bears are always left-handed, and so is Kermit the Frog. * Paris, France has more dogs than people. * New Zealand is home to 70 million sheep and only 40 million people. * Male polar bears weigh 1400 pounds and females only weight 550 pounds, on average. * Bison are excellent swimmers? Their head, hump and tail never go below the surface of the water. * There are 6 to 14 frog's species in the world that have no tongues. One of these is the African dwarf frog. * A frog named Santjie, who was in a frog derby in South Africa jumped 33 feet 5.5 inches. * The Persian invaders converted it into Hindu. The name `Hindustan' combines Sindhu and Hindu and thus refers to the land of the Hindus. * Chess was invented in India. * The' place value system' and the 'decimal system' were developed in 100 BC in India. * The game of snakes & ladders was created by the 13th century poet saint Gyandev. It was originally called 'Mokshapat.' The ladders in the game represented virtues and the snakes indicated vices. * The word navy is also derived from the Sanskrit word 'Nou'. * A snail can sleep for 3 years. * Twenty-Four-Karat Gold is not pure gold since there is a small amount of copper in it. Absolutely pure gold is so soft that it can be molded with the hands. * Electricity doesn't move through a wire but through a field around the wire. * The first steam powered train was invented by Robert Stephenson. It was called the Rocket. * A cheetah does not roar like a lion - it purrs like a cat (meow). * An ostrich's eye is bigger than its brain. * Dolphins usually live up to about twenty years, but have been known to live for about forty. * Bats can detect warmth of an animal from about 16 cm away using its "nose-leaf". * Bats can also find food up to 18 ft. away and get information about the type of insect using their sense of echolocation. * The eyes of the chameleon can move independently & can see in two different directions at the same time. * Cockroach: Can detect movement as small as 2,000 times the diameter of a hydrogen atom. * Dragonfly: Eye contains 30,000 lenses. * Pig's Tongue contains 15,000 taste buds. For comparison, the human tongue has 9,000 taste buds. * The number system was invented by India. Aryabhatta was the scientist who invented the digit zero. * Intelligent people have more zinc and copper in their hair. * Like fingerprints, everyone's tongue print is different. * The average woman uses about her height in lipstick every five years. 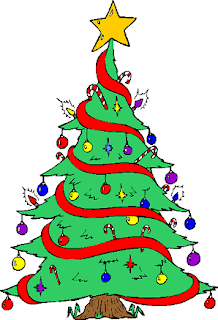 * The first Christmas was celebrated on December 25, AD 336 in Rome. * A Cockroach will live nine days without its head, before it starves to death. * Snakes have no external ears. Therefore, they do not hear the music of a "snake charmer". Instead, they are probably responding to the movements of the snake charmer and the flute. However, sound waves may travel through bones in their heads to the middle ear. * Many spiders have eight eyes. * The tongue of snakes has no taste buds. Instead, the tongue is used to bring smells and tastes into the mouth. Smells and tastes are then detected in two pits, called "Jacobson's organs", on the roof of their mouths. 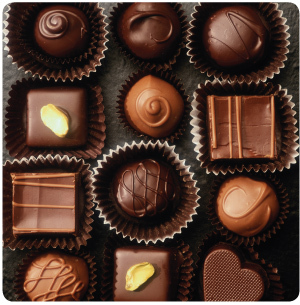 Receptors in the pits then transmit smell and taste information to the brain. * The bird that can fly the fastest is called a White it can fly up to 95 miles per hour. * Tea is said to have been discovered in 2737 BC by a Chinese emperor when some tea leaves accidentally blew into a pot of boiling water. * A person can live without food for about a month, but only about a week without water. If the amount of water in your body is reduced by just 1%, one will feel thirsty. If it's reduced by 10%, one will die. * The world's known tallest man is Robert Pershing Wadlow. The giraffe is 5.49m (18 ft.), the man is 2.55m (8ft. 11.1 in.). * The world's tallest woman is Sandy Allen. She is 2.35m (7 ft. 7 in.). * The only 2 animals that can see behind themselves without turning its head are the rabbit and the parrot. * The blue whale is the largest animal on earth. The heart of a blue whale is as big as a car, and its tongue is as long as an elephant. * The largest bird egg in the world today is that of the ostrich. Ostrich eggs are from 6 to 8 inches long. Because of their size and the thickness of their shells, they take 40 minutes to hard-boil. The average adult male ostrich, the world's largest living bird, weighs up to 345 pounds. * The world's largest mammal, the blue whale, weighs 50 tons i.e. 50000 Kg at birth. Fully grown, it weighs as much as 150 tons i.e. 150000 Kg. * Mercury is the closest planet to the sun and it doesn't have a moon. Its atmosphere is so thin that during the day the temperature reaches 750 degrees, but at night it gets down to -300 degrees. * Jupiter is the largest planet. If Jupiter were hollow, you could fit 1000 earths inside! It is made up of gas and is not solid. The most famous feature on Jupiter is its Red Spot, which is actually an enormous hurricane that has been raging on Jupiter for hundreds of years! Sixteen moons orbit Jupiter. * Saturn is a very windy place! Winds can reach up to 1,100 miles per hour. Saturn is also made of gas. If you could find an ocean large enough, it would float. This planet is famous for its beautiful rings, and has at least 18 moons. * Uranus is the third largest planet, and is also made of gas. It's tilted on its side and spins north-south rather than east-west. Uranus has 15 moons. * Neptune takes 165 Earth years to get around the sun. It appears blue because it is made of methane gas. Neptune also has a big Spot like Jupiter. Winds on Neptune get up to 1,200 mile per hour! Neptune has 8 moons. * Pluto is the farthest planet from the sun... usually. It has such an unusual orbit that it is occasionally closer to the sun than Neptune. Pluto is made of rock and ice. * Just about everyone listens to the radio! 99% of homes in the United States have a least one radio. Most families have several radios. * Sound is sent from the radio station through the air to your radio by means of electromagnetic waves. News, music, Bible teaching, baseball games, plays, advertisements- these sounds are all converted into electromagnetic waves (radio waves) before they reach your radio and your ears. * At the radio station, the announcer speaks into a microphone. The microphone changes the sound of his voice into an electrical signal. This signal is weak and can't travel very far, so it's sent to a transmitter. The transmitter mixes the signal with some strong radio signals called carrier waves. These waves are then sent out through a special antenna at the speed of light! They reach the antenna of your radio. Your antenna "catches" the signal, and the radio's amplifier strengthens the signal and sends it to the speakers. The speakers vibrate, and your ears pick up the vibrations and your brain translates them into the voice of the radio announcer back at the station. When you consider all the places the announcer's voice travels. * Every radio station has its own frequency. When you turn the tuning knob on your radio, you are choosing which frequency you want your antenna to "catch." * Mountain lions are known by more than 100 names, including panther, catamount, cougar, painter and puma. Its scientific name is Felis concolor, which means "cat of one color." At one time, mountain lions were very common! * The large cats of the world are divided into two groups- those that roar, like tigers and African lions, and those that purr. Mountain lions purr, hiss, scream, and snarl, but they cannot roar. They can jump a distance of 30 feet, and jump as high as 15 feet. It would take quite a fence to keep a mountain lion out! Their favorite food is deer, but they'll eat other critters as well. They hunt alone, not in packs like wolves. They sneak up on their prey just like a house cat sneaks up on a bird or toy- one slow step at a time. A lion can eat ten pounds of meat at one time! * Human thigh bones are stronger than concrete. * The elephant is the only mammal that can't jump! * Fingernails grow nearly 4 times faster than toenails! * Coca-Cola would be green if colouring weren't added to it. * More people are allergic to cow's milk than any other food. * Earth is the only planet not named after a god. * It's against the law to burp, or sneeze in a church in Nebraska, USA. * Some worms will eat themselves if they can't find any food! * Slugs have 4 noses. * Owls are the only birds that can see the blue colour. * More than 1,000 different languages are spoken on the continent of Africa. * There was once an undersea post office in the Bahamas. * After the death of Albert Einstein his brain was removed by a pathologist and put in a jar for future study. * A dentist invented the Electric Chair. * Cockroaches break wind every 15 minutes. * Canada" is an Indian word meaning "Big Village". * 259200 people die every day. * The world's oldest piece of chewing gum is 9000 years old! * The largest beetle in the Americas is the Hercules beetle, which can be 4 to 6 inches in length. That's bigger than your hand! * A full-grown male mountain lion may be 9 feet long, including his tail! * There are two kinds of radio stations: AM and FM. That's why there are two dials on your radio. AM is used mostly for stations that specialize in talking, such as Christian stations at have Bible stories and sermons; sports stations that broadcast live baseball and football games; and stations that specialize in news programs and "talk shows," where listeners call the station and discuss various topics. FM is used mostly for stations that specialize in music. * The Wright Brothers invented one of the first airplanes. It was called the Kitty Hawk. * The worst industrial disaster in India occurred in 1984 in Bhopal the capital of Madhya Pradesh. A deadly chemical, methyl isocyanate leaked out of the Union Carbide factory killing more than 2500 and leaving thousands sick. In fact the effects of this gas tragedy are being felt even today. * Mars is nicknamed the "Red Planet," because it looks reddish in the night sky. Mars has 2 moons. * Venus is nicknamed the "Jewel of the Sky." Because of the greenhouse effect, it is hotter than Mercury, even though it's not as close to the sun. Venus does not have a moon but it does have clouds of sulfuric acid! If you're going to visit Venus, pack your gas mask! * Tens of thousands of participants come from all over the world, fight in a harmless battle where more than one hundred metric tons of over-ripe tomatoes are thrown in the streets. The word "queue" is the only word in the English language that is still pronounced the same way when the last four letters are removed.Beetles taste like apples, wasps like pine nuts, and worms like fried bacon. Of all the words in the English language, the word 'set' has the most definitions! A cockroach can live several weeks with its head cut off! Horatio Nelson, one of England's most illustrious admirals was throughout his life, never able to find a cure for his sea-sickness. Women blink nearly twice as much as men.Adolf Hitler was a vegetarian, and had only ONE testicle. It's against the law to burp, or sneeze in a church in Nebraska, USA. You're born with 300 bones, but by the time you become an adult, you only have 206. 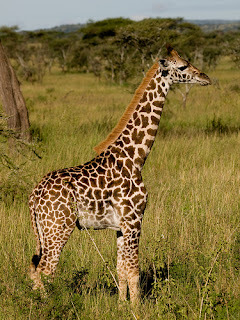 The giraffe (Giraffa camelopardalis) is the tallest living terrestrial animal species. On average, it is about 4.3 metres to 5.2 metres tall. Giraffes belong to the family giraffidae. It is believed that the giraffids evolved from a 3 metres tall antelope-like mammal that roamed Europe and Asia some 30–50 million years ago.Fully grown male giraffes weigh between 800 and 1,930 kilograms and fully grown female giraffes weigh between 550 and 1,180 kilograms. As the forelegs of giraffes are about 10% longer than their hind legs, giraffes can reach a sprint speed of up to 60 km/h. A giraffe's heart measures about 60 cm long and weighs upto 10 kg. It generates about double the amount of normal blood pressure generated by an average land mammal. A giraffe can eat about 29 kg of leaves and twigs daily. On average, it sleeps for about 1.9 hours per day. The neck of a giraffe is over 2 metres long. It accounts for nearly half of the animal's vertical height.